A released inmate, charged with murder in connection with a botched May robbery, should have still been in prison when the shooting occurred, state DOC chief Dan Pacholke said. OLYMPIA — A released inmate, charged with murder in the killing of a teenager during a botched robbery in May, should still have been in prison when the shooting occurred, state Corrections Secretary Dan Pacholke said Thursday. The man, Jeremiah A. Smith, 26, is being held in Spokane County Jail on first-degree murder and other felony charges in connection with the death of 17-year-old Ceasar Medina. Smith allegedly shot Medina during a break-in at a North Spokane tattoo parlor, according to Spokane police. This marks the second death the Department of Corrections (DOC) has blamed on an inmate who should have been in prison, but was out because the agency for years had failed to fix a problem with how sentences were calculated. Officials have said as many as 3,200 prisoners’ sentences have been miscalculated since 2002 because of wrongly programmed computer software. Even when DOC staff learned of the problem in 2012, they did not fix it. Smith had been serving time at the Washington Corrections Center in Shelton, Mason County, since 2010 for felony robbery, burglary and assault convictions. He was released May 14, officials said. The fatal shooting he’s now charged with occurred 12 days later. Smith’s correct release date should have been Aug. 15, officials say. Pacholke said he learned of the case Tuesday and waited to release the information until he had a chance to speak with Medina’s mother. “I spoke with [the victim’s] mother on the phone yesterday to offer my condolences,” said Pacholke. The 17-year-old came from a large family based in Moses Lake and was affectionately known as “Fat Boy,” according to a death notice placed by the family in the Columbia Basin Herald. He loved playing Xbox, fishing, barbecuing, the outdoors and spending time with family and friends, the death notice said. Nicholas Brown, general counsel for Gov. Jay Inslee, said Thursday in a statement that the governor also had spoken with the family. On Monday, DOC officials announced another offender had been charged with vehicular homicide. Robert T. Jackson last month crashed his car with Lindsay Hill, a 35-year-old mother of two, inside. Hill was thrown from the car outside her Bellevue apartment complex and suffered a catastrophic head injury. Jackson was mistakenly freed Aug. 10, according to DOC. Eight hours after the crash, a police officer found Jackson at the apartment complex, his face bloody and eyes bloodshot. Jackson, smelling of alcohol, fought with the lieutenant, and another officer used a Taser on Jackson before he was brought into custody, according to charging papers. In prepared remarks Monday, Pacholke said of Hill’s death: “Nothing I can say will bring back Ms. Hill. I deeply regret that this happened.” Inslee also made a condolence call to Hill’s family. One other inmate also is accused of committing a crime while mistakenly released, prison officials have said. Daniel D. Morris II, 32, of Pierce County, was released in August, more than three months early for a felony-assault conviction. When a Pierce County deputy approached Morris in October, he sped off in his car, charging papers say. Morris reached speeds of more than 100 miles per hour, and struck the officer’s vehicle while trying to flee, records show. He has since been charged with felony attempting to elude a pursuing police vehicle. Corrections officials acknowledged Thursday there may be more cases of prisoners who have committed crimes while they should have been behind bars. 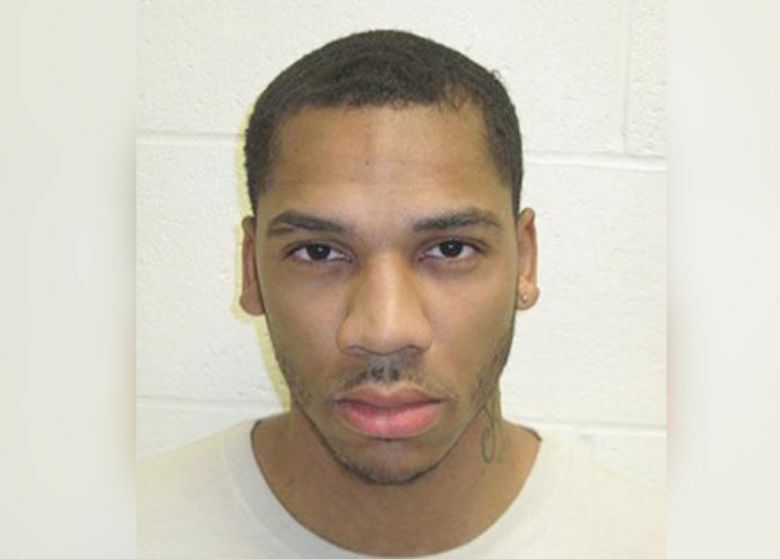 So far, prison officials say, they have only reviewed inmate releases dating to Jan. 1, 2015. The miscalculation problem started 13 years earlier. The inmates released early had received sentences that included extra time, known as “enhancements,” for crimes committed under certain circumstances, such as with a gun or with sexual motivation. Sentencing reductions for an inmate’s good behavior cannot be applied to sentencing enhancements. The software, wrongly programmed, gave such “good time” credits for the enhancement portion of prison sentences. Early DOC estimates show prisons released offenders an average 55 days before they were supposed to be freed. Pacholke’s update Thursday came a day after the (DOC) released emails showing the state Attorney General’s Office knew in December 2012 that hundreds of prisoners were being released early by mistake. An assistant attorney general at the time advised that the problem was not urgent enough to require extra staff to accurately refigure prison sentences and stop early releases. But the intended software fix was delayed 16 times and has not yet been made, for reasons that haven’t been publicly explained by DOC officials. Inslee has said the fix will be made in early January. Attorney General Bob Ferguson — who was not yet in office when Larson gave her counsel — on Wednesday issued a statement calling Larson’s advise “deeply flawed,” and said his office would review the matter. Inslee agrees with Ferguson’s criticism. Larson and two DOC information-technology employees who were involved in the initial discovery of the problem remain in their jobs, state officials said Thursday. Larson, who has been with the Attorney General’s Office since 2003, was not available for comment Thursday, said a department spokesman. Rob McKenna, the former attorney general who in December 2012 was nearing the end of his time in office, said Thursday he was not aware of Larson’s advice. If he or senior staff had known of the DOC problem, “we would have countermanded her advice,” McKenna said. Inslee and Pacholke say they learned of the early-release problem in mid-December. Inslee has ordered an independent investigation to be led by two former federal prosecutors. That review starts Monday, Pacholke said. Along with Smith and the two other inmates charged with crimes since their mistaken releases, Corrections officials have posted the names of 29 offenders who have been taken back into custody. Most of the up to 3,200 inmates freed early since 2002 will not have to return to prison. In most cases, the state gives day-for-day credit to a prisoner released early who hasn’t been found to have broken any laws since being freed. Smith has been in custody since Spokane police arrested him on June 4. Authorities say Smith fatally shot Medina about midnight on May 26 while trying to rob Northwest Accessories, a tattoo parlor in the north part of town. Officers who responded to the shooting found Medina in a car outside the business, but couldn’t resuscitate him. Spokane police in July arrested a second suspect who also has been charged with first-degree murder and related crimes. Two women also have been arrested and charged with helping the second suspect dispose of a gun allegedly used during the crime, news reports say.